The customs trail created in 1791 to fight against smuggling. Colbert was responsible for setting up a national tariff for customs duties. 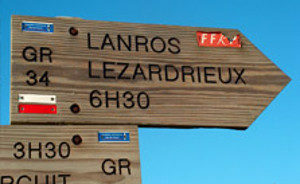 Today, the Customs Trail is a Grande Randonnée trail (GR 34) that many walkers especially traveled during the summer. It is about 1700 km. It takes between 70 and 80 days to realize it in full (at the rate of 4:00 to 7:30 of walk per day). Few hikers do their utmost, preferring to discover certain portions or Small Hiking trails (PR) that borrow small parts of the GR. 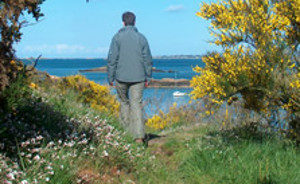 The Douaniers trail is an opportunity to discover the Brittany coast: its reefs, its coastal marshes, its bays, its coves, its sandy estuary, its avens, its abers, its rias, its dune landscapes … its avifauna. The walker can not remain insensitive to this immersion between land and sea. 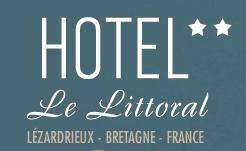 The Hotel Le Littoral can be a step for your hike, we propose to help you to prepare your stay and to envisage the different stages and halts in our region. This is thanks to a regrouping of Hotels ready to welcome you during your stroll.